As the children shuffle back to school, Cine looks back at her three favorite animated films from Summer, 2016. This year saw a picnic of fun and memorable moments for the family, with wonderful female main characters (finally! ), diverse personalities to enjoy and a visually rich landscape to view, thanks to the choice of being amazed in either 2D or 3D. The Golden Age of gender diversity in television has trickled down into the children's animated film genre, discovering that yes, gender and multi-culturally inclusive characters can generate big profits: Zootopia just hit the $1 billion mark, Finding Dory $900 million and The Secret Life of Pets $675 million - and that's before all the DVD and PPV dollars will be counted at the end of 2016. Film Fare for kids and families alike have changed with the times, but the genre remains essentially the same. There's always a healthy roster of characters to root for, fall in love with or hate, but now the addition of female-centered images makes a lasting impression on the millions of young eyes watching. Zootopia's main character, Judy Hopps, is an over-enthusiastic female police officer, Finding Dory has our favorite blue tang fish embarking on a life-changing journey and The Secret Life of Pets boasts Gidget, a fiercely protective ball of canine fluff. At the heart of every summer blockbuster is adventure galore, usually surrounding a pressing mystery to be solved: Zootopia's disappearing big shots, Dory's missing family and Pet's missing male lead, Max. While the non-stop action can be thrilling to the younger set, sometimes it can tire out the parents. But positive stories about diversity and trust still encourage children to form new friendships and there's enough sophisticated film references to keep adults chuckling. The settings have become more complex, with most of the action taking place in congested urban areas, which is especially vital to the 3D experience. Sadly, casting animated films for 2016 should include an #HollywoodSoWhite hashtag, as virtually every leading character - both female and male - are a whiter shade of pale. Yes, there is more diversity with the supporting cast, but as with most major non-animated Hollywood productions, black, latin and asian stars are included after the lead characters are signed up. And don't get me started on the Pete's Dragon remake! And while we're at it, let's hand out a Muddled Message award to Disney’s Zootopia, for resorting to a cliche cute ending, as our girl cop gets tricked into saying she loves her street-wise fox friend - neatly undercutting the focus of the film's central message about female empowerment. 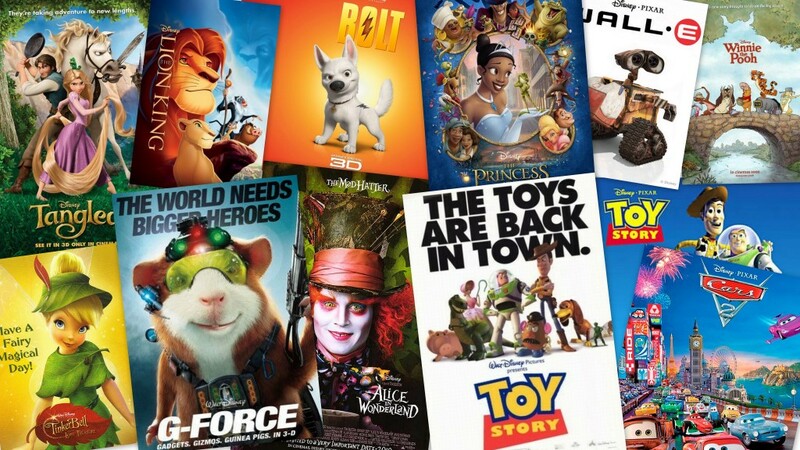 But highlights like Zootopia's DMV staff of sloths, Finding Dory's crazy truck chase, and The Secret Life of Pets solo take-down of an entire gang connect us to our inner child, and really - isn't that what a kid's movie is all about? Starring Ginnifer Goodwin/Officer Judy Hopps, Jason Bateman/Nick Wilde, Idris Elba/Chief Bogo, Tommy Chong/Yax, J. K. Simmons/Leodore Lionheart, Jenny Slate/Dawn Bellwether, Nate Torrence/Officer Benjamin Clawhauser, Bonnie Hunt/Bonnie Hopps, Don Lake as Stu Hopps, , Octavia Spencer/Mrs. Otterton, Alan Tudyk/Duke Weaselton, Shakira/Gazelle, Raymond S. Persi/Flash & Officer Higgins, Maurice LaMarche/Mr. Big, and other supporting artists. Starring Ellen DeGeneres/Dory, Albert Brooks/Marlin, Hayden Rolence/Nemo, Ed O'Neill/Hank, Diane Keaton/Jenny, Eugene Levy/Charlie, Kaitlin Olson/Destiny, Ty Burrell/Bailey, Idris Elba/Fluke, Dominic West/Rudder, Bob Peterson/Mr. Ray, Andrew Stanton/Crush, Bennett Dammann/Squirt, Bill Hader/Stan, Kate McKinnon/Stan's wife, Sigourney Weaver/herself, Alexander Gould/Passenger Carl, John Ratzenberger/Bill, Torbin Xan Bullock/Gerald & Becky, Willem Dafoe/Gill, Brad Garrett/Bloat, Allison Janney/Peach, Austin Pendleton/Gurgle, Stephen Root/Bubbles, Vicki Lewis/Deb & Flo, Jerome Ranft/Jacques, and other supporting artists. Starring Louis C.K./Max, Eric Stonestreet/Duke, Ellie Kemper/Katie, Kevin Hart/Snowball, Jenny Slate/Gidget, Steve Coogan/Ozone & Reginald, Bobby Moynihan/Mel, Lake Bell/Chloe, Dana Carvey/Pops, Hannibal Buress/Buddy, Albert Brooks/Tiberius, Tara Strong/Sweet Pea, Chris Renaud/Norman, Michael Beattie/Tattoo, Sandra Echeverría/Maria, Jaime Camil/Fernando, Kiely Renaud/Molly, John Kassir/Leonard's owner, Mona Marshall/Gidget's owner, Laraine Newman/Chloe's owner, and Jess Harnell.